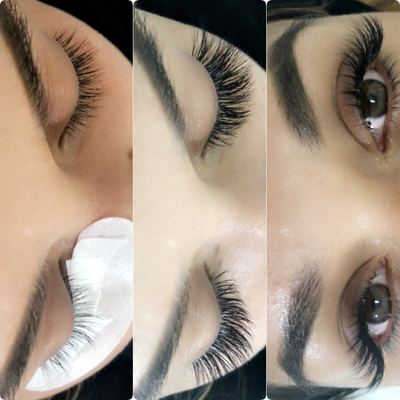 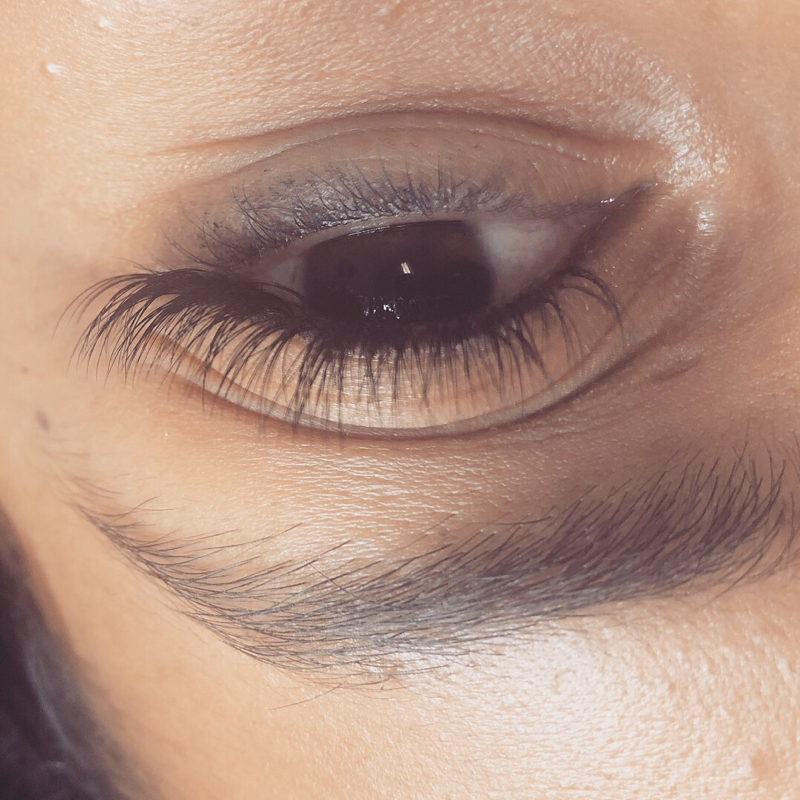 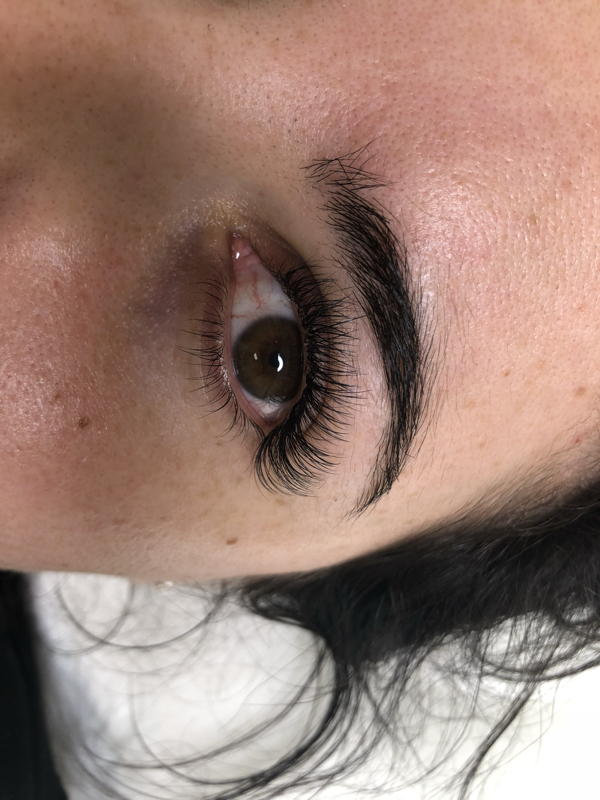 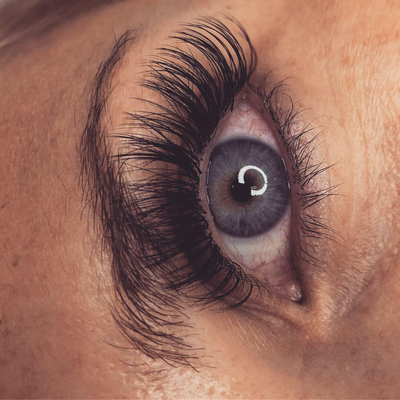 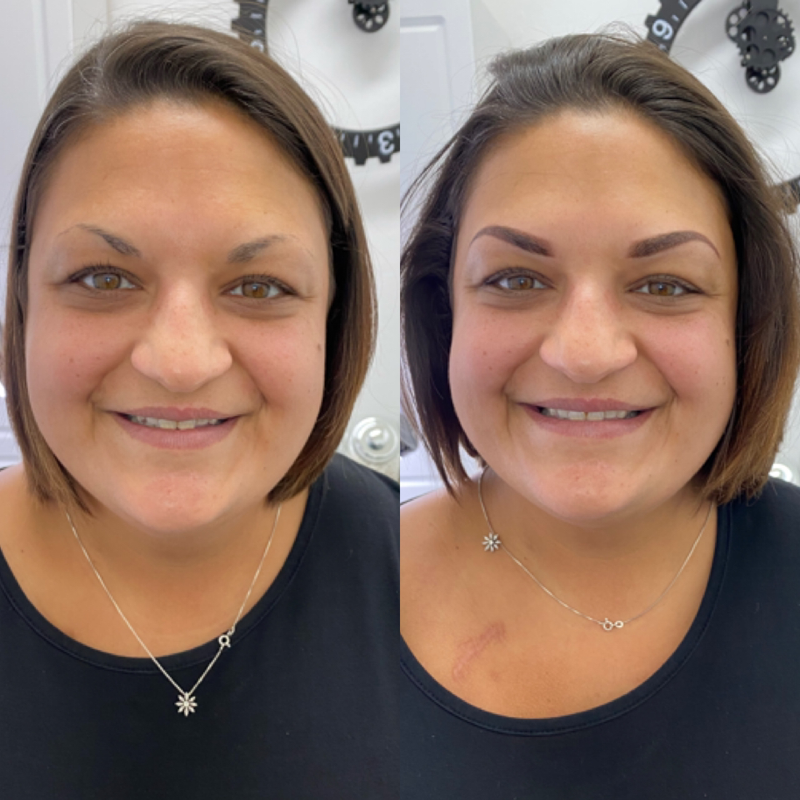 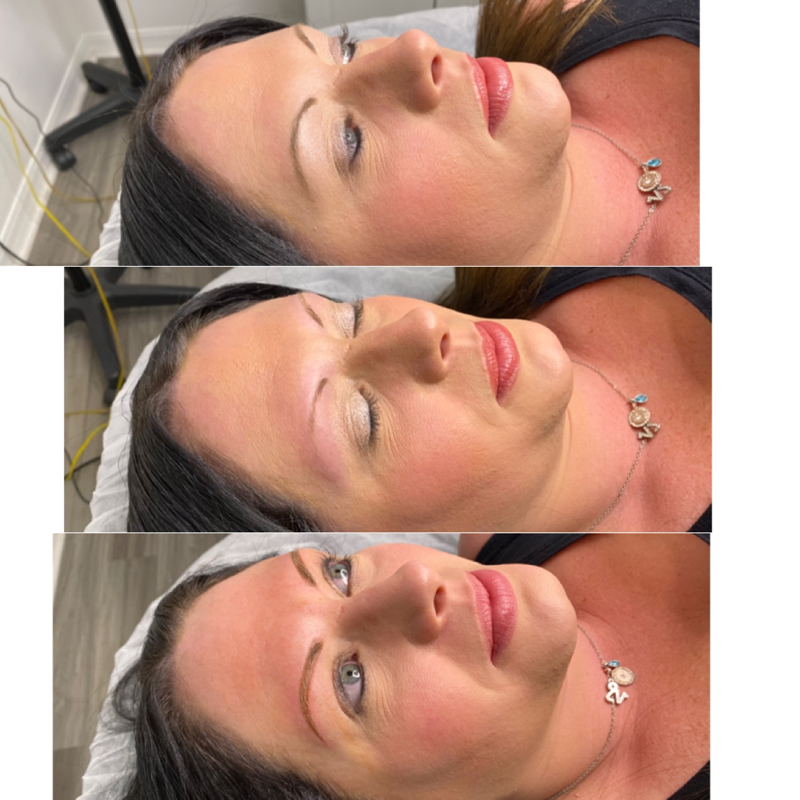 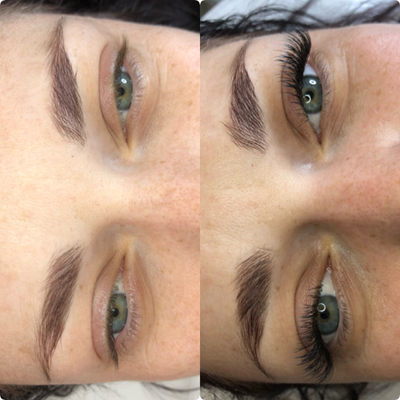 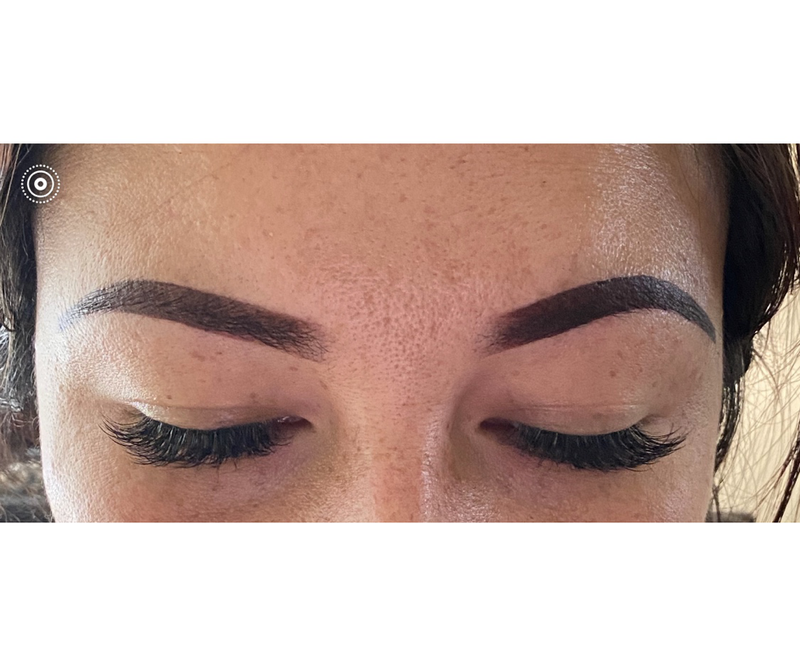 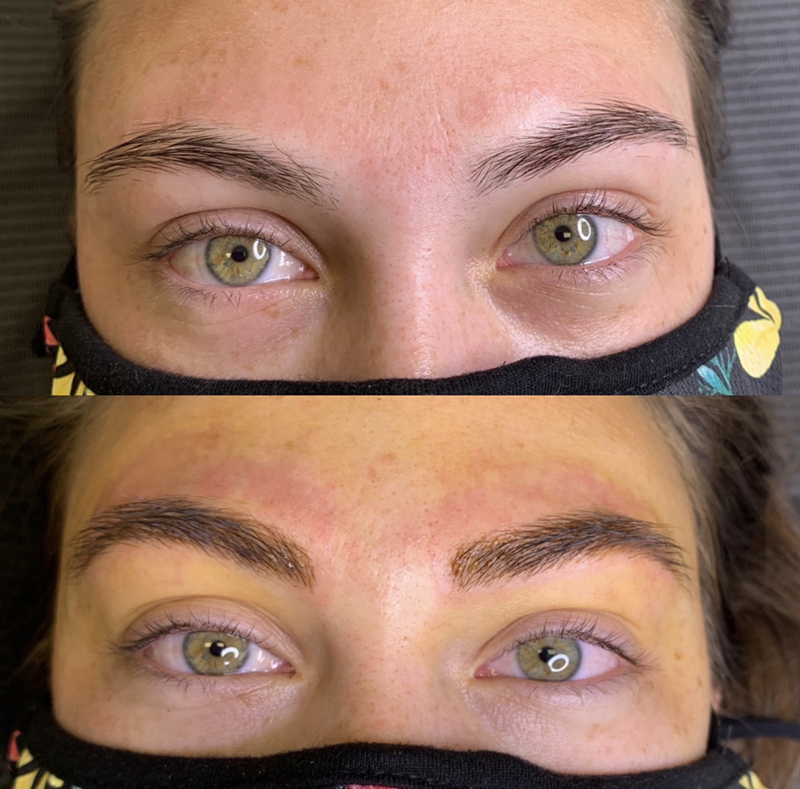 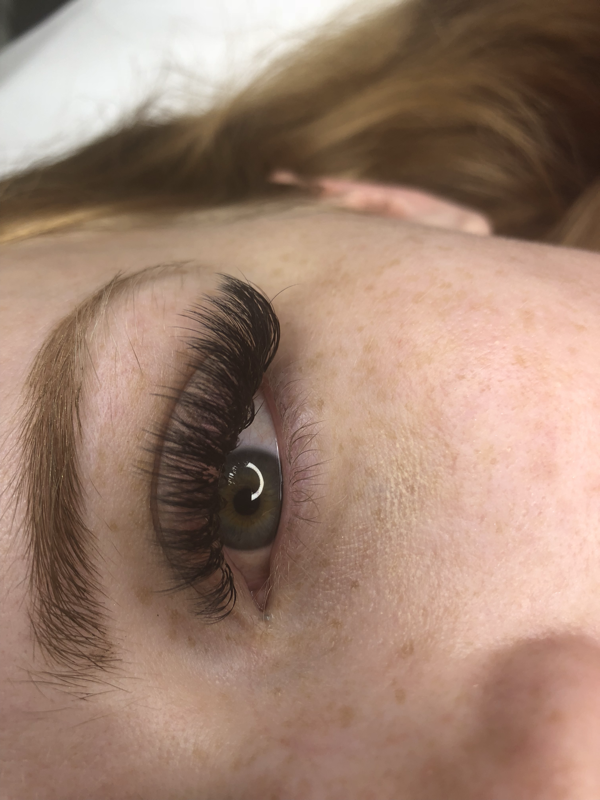 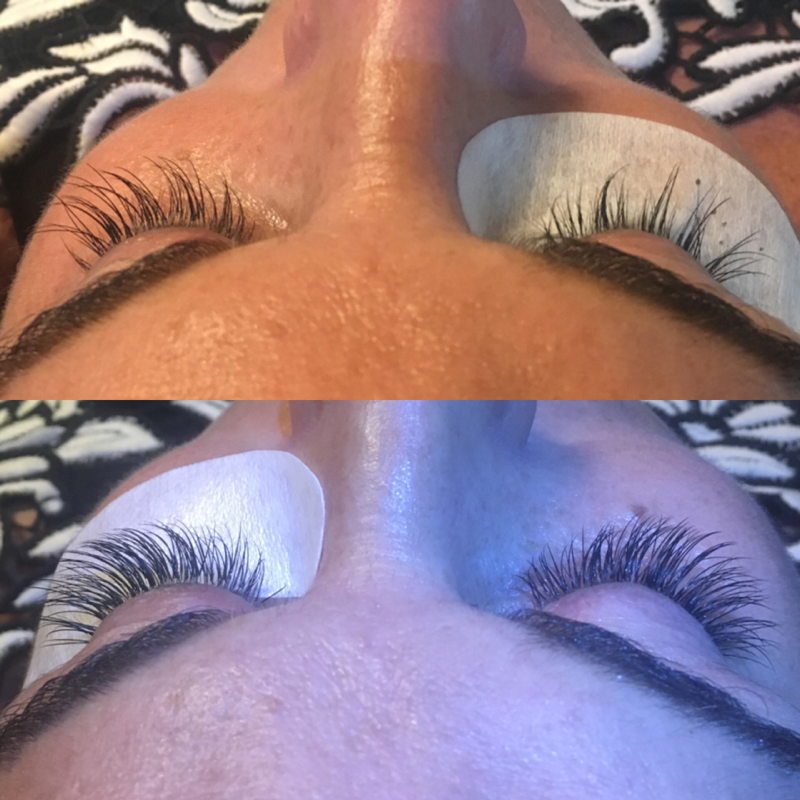 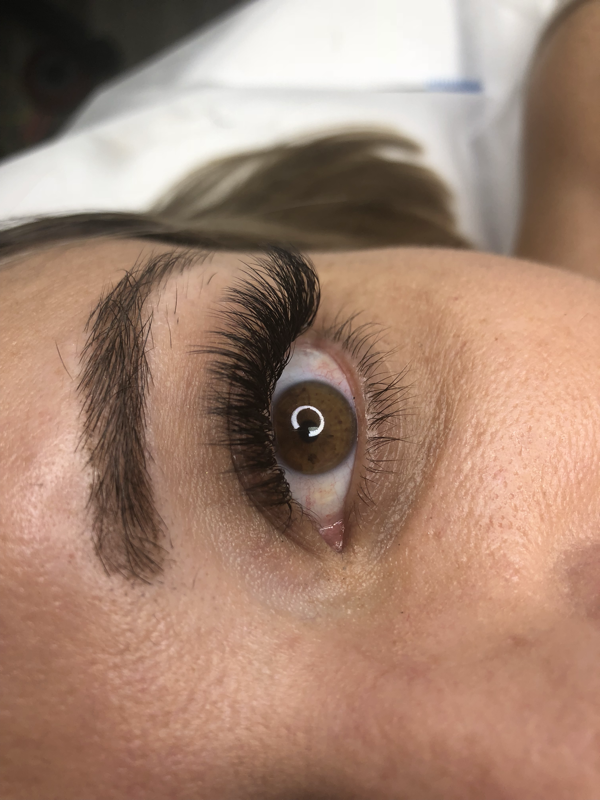 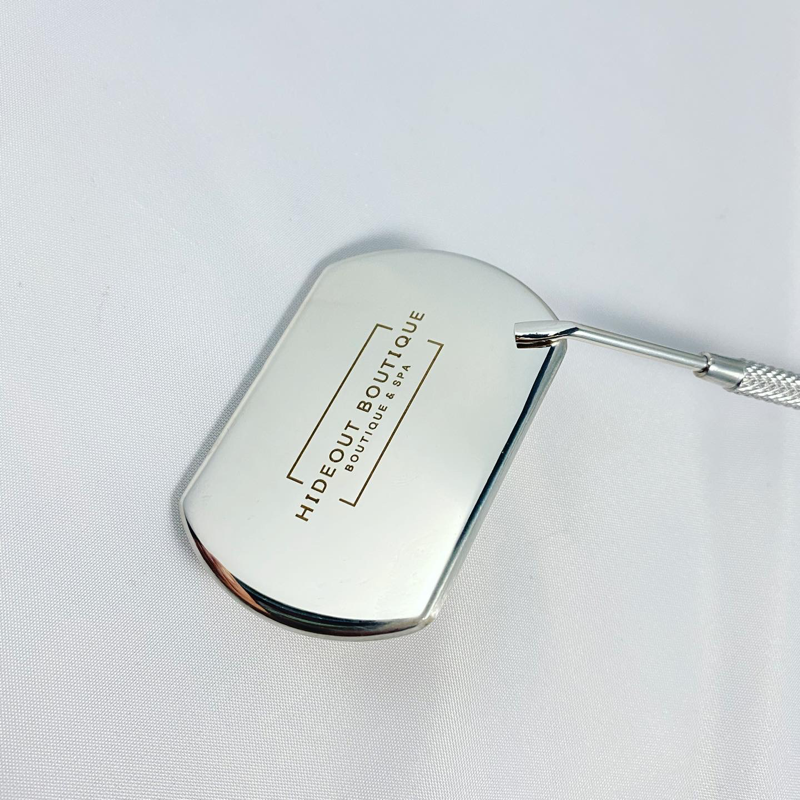 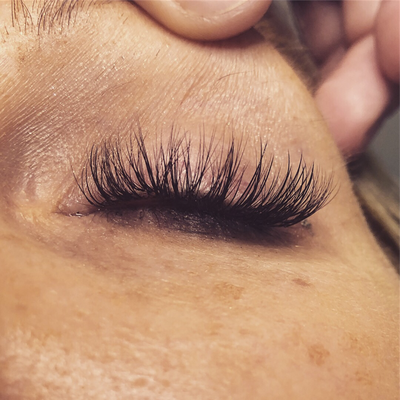 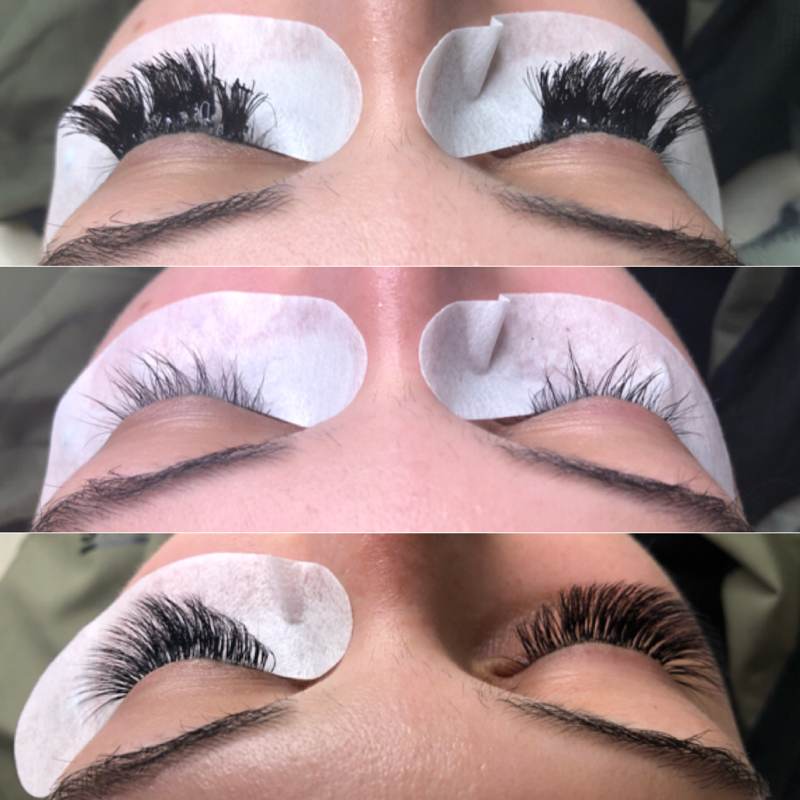 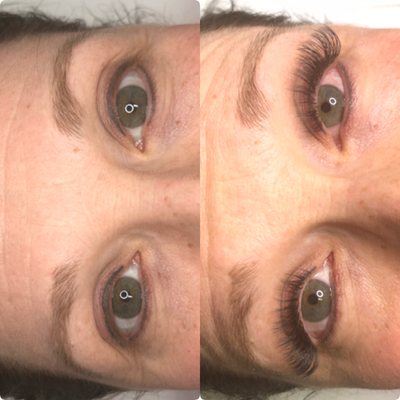 At Hideout Boutique, we offer different lash services including lash lifts, lash extensions and extension removal while also offering many lash products including conditioners, deep cleaners and lash growth serums. 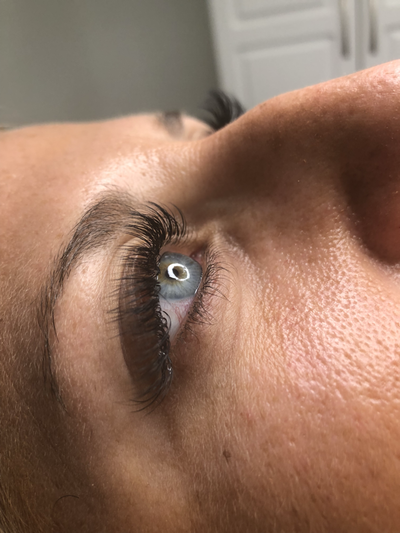 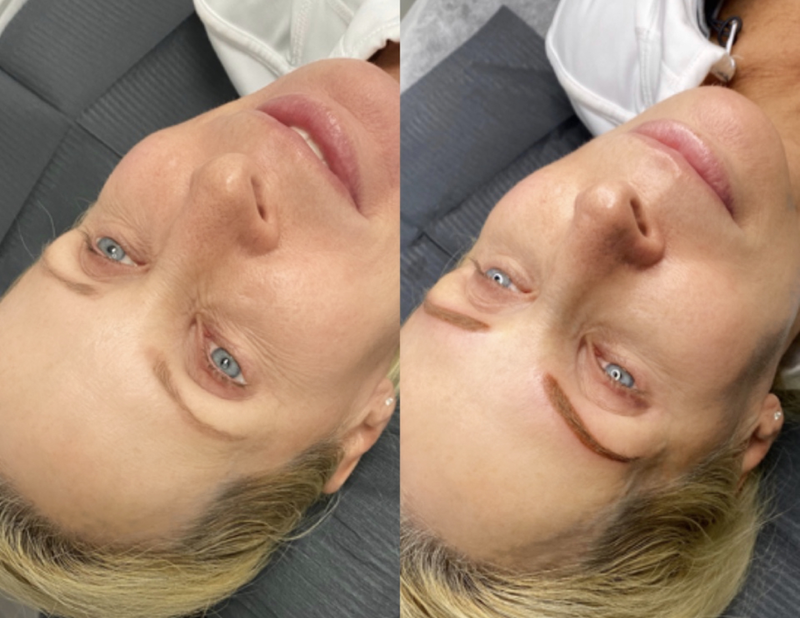 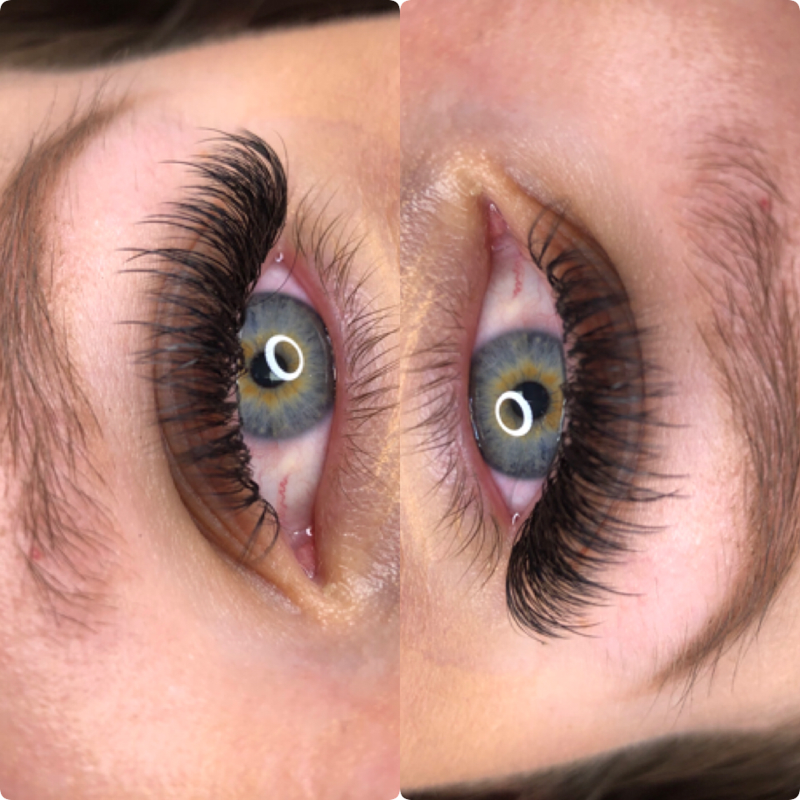 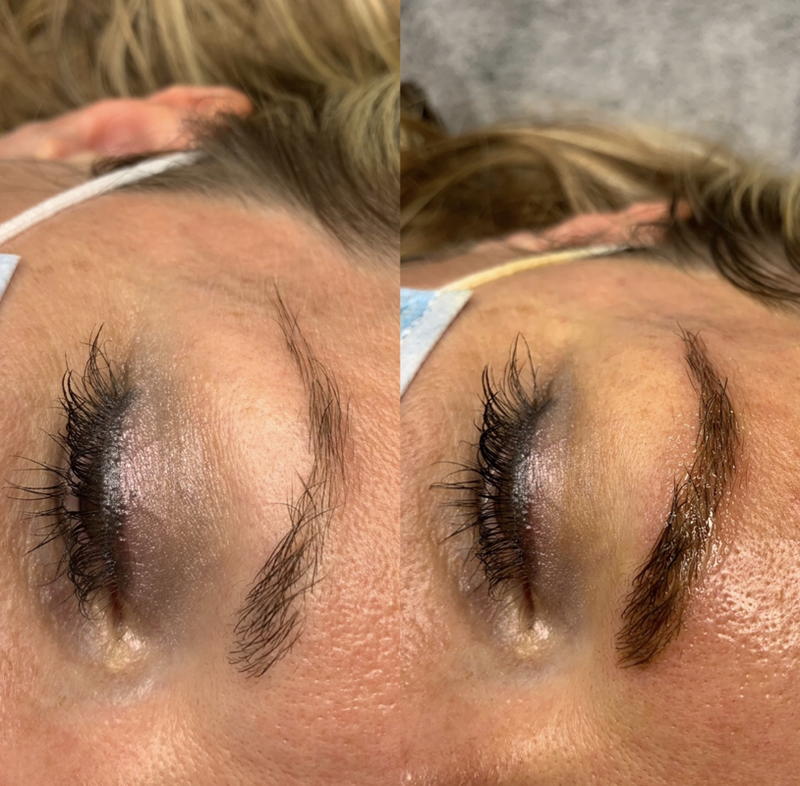 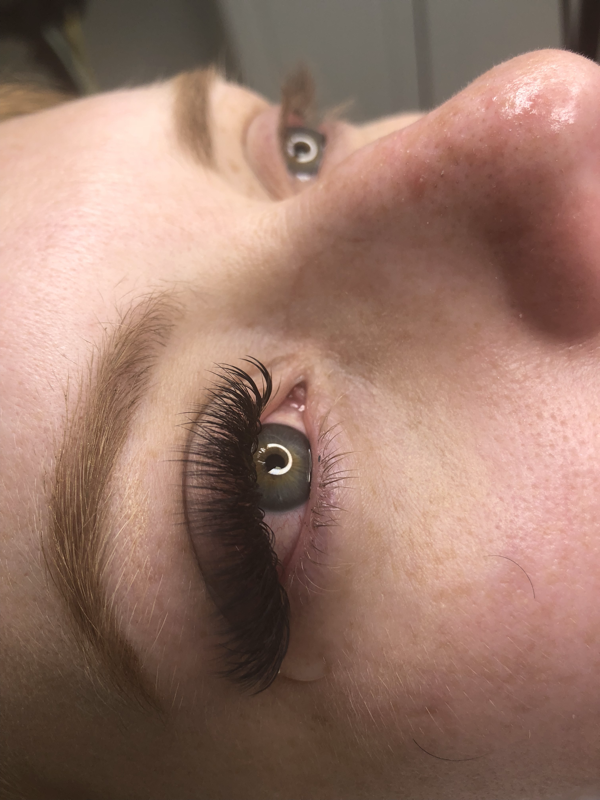 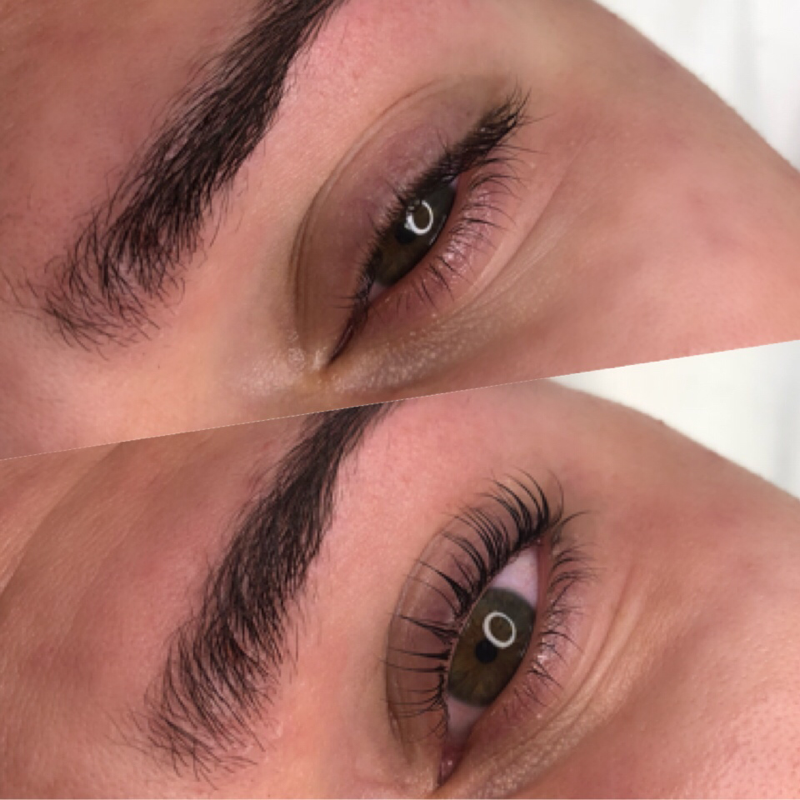 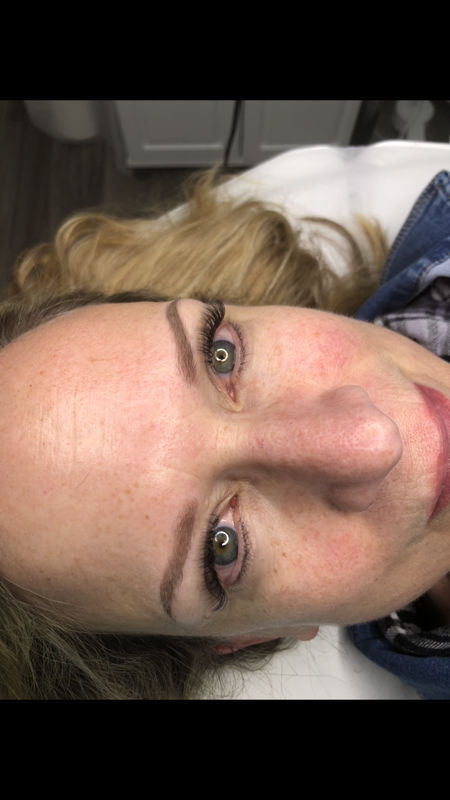 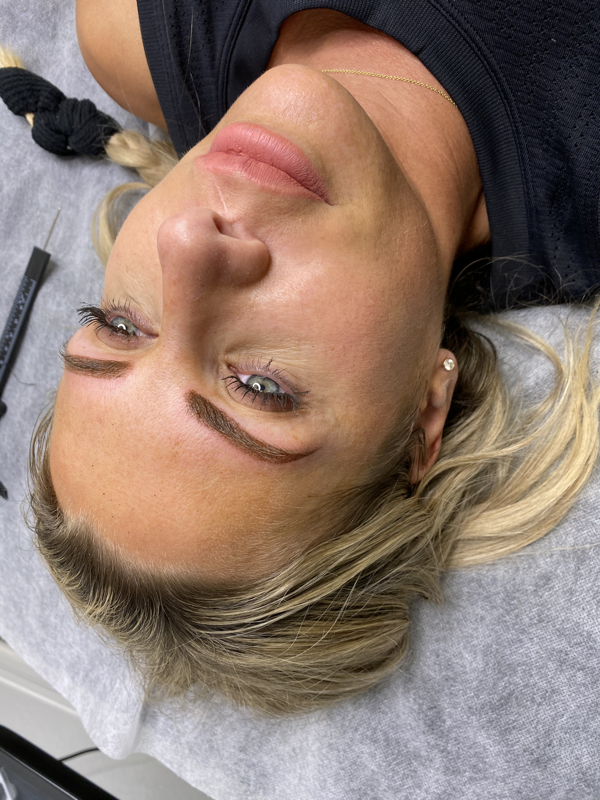 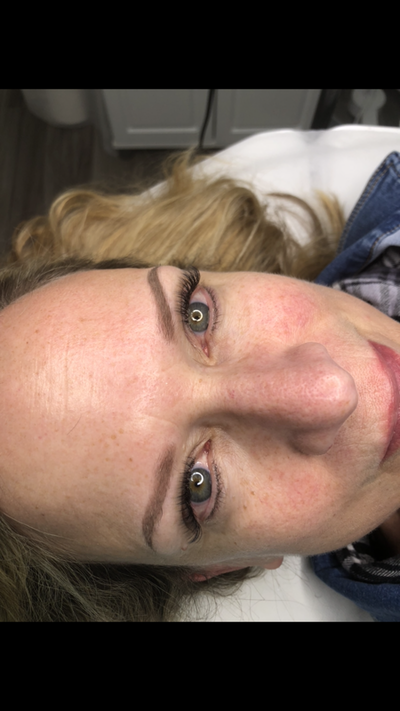 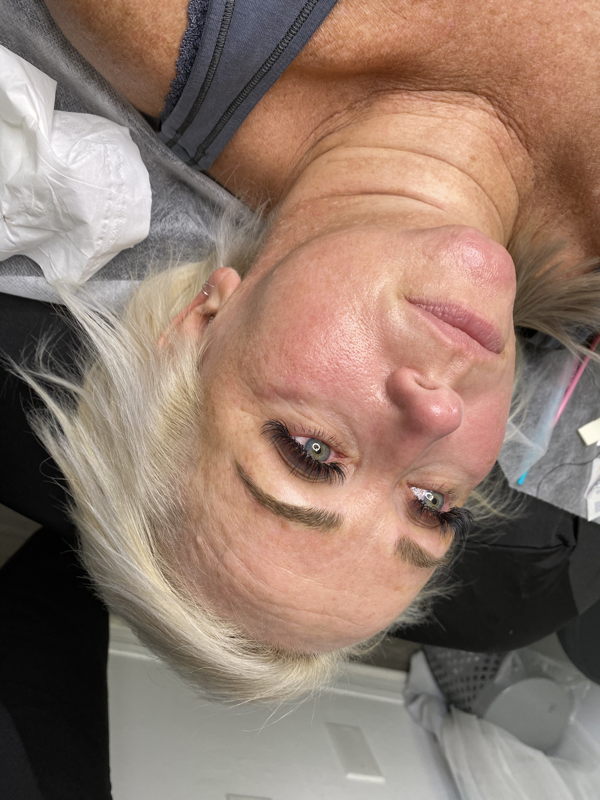 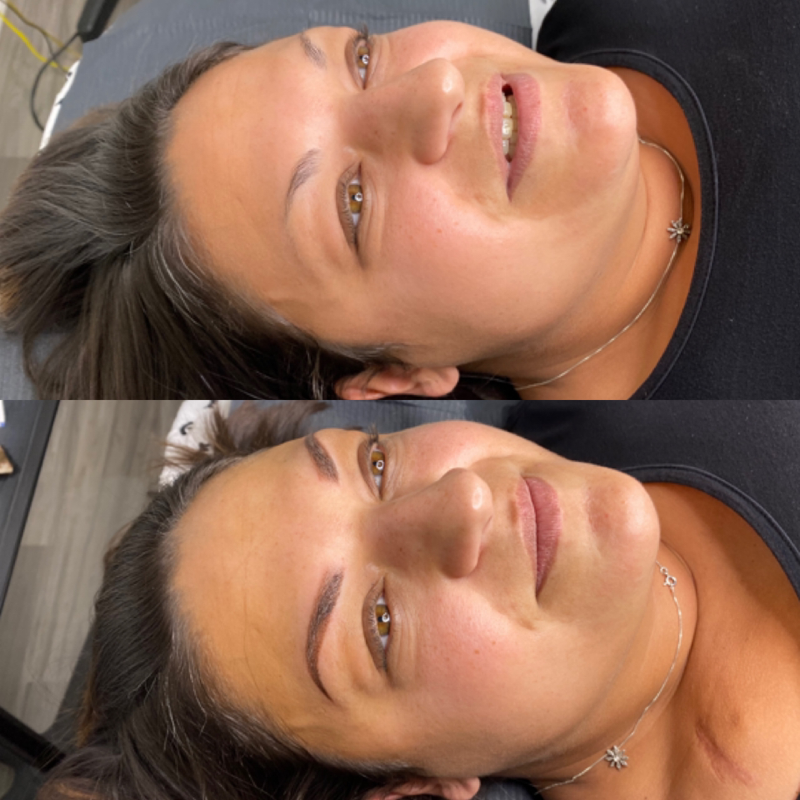 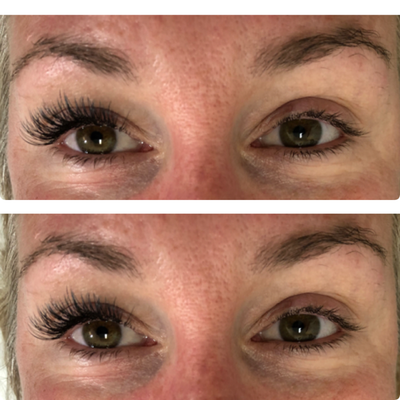 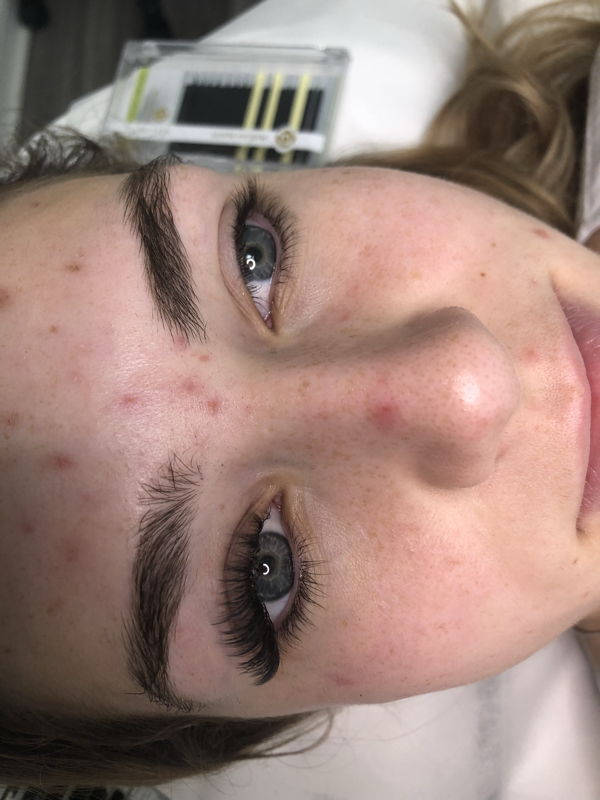 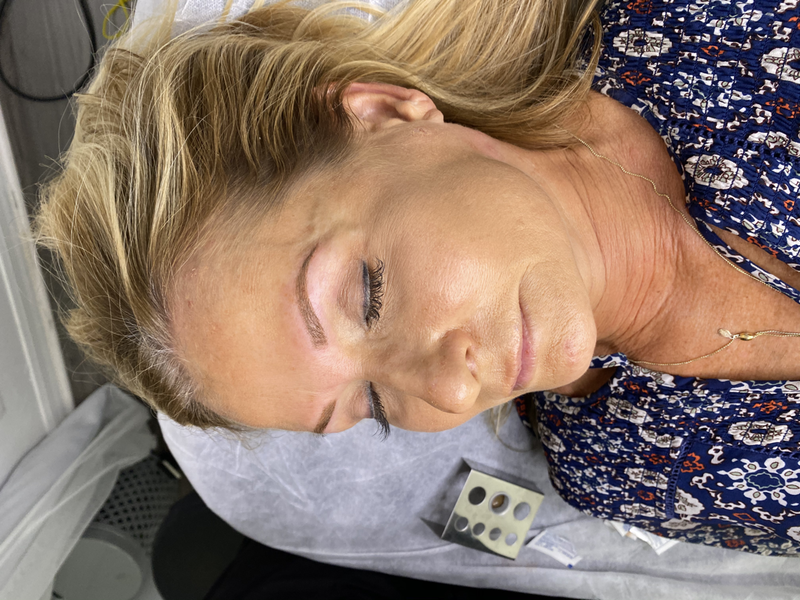 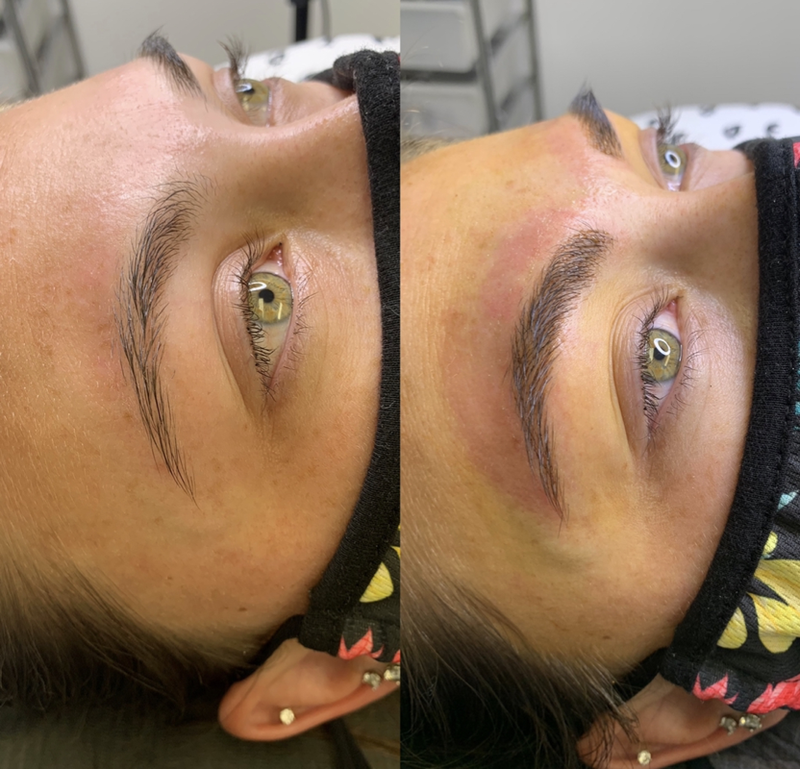 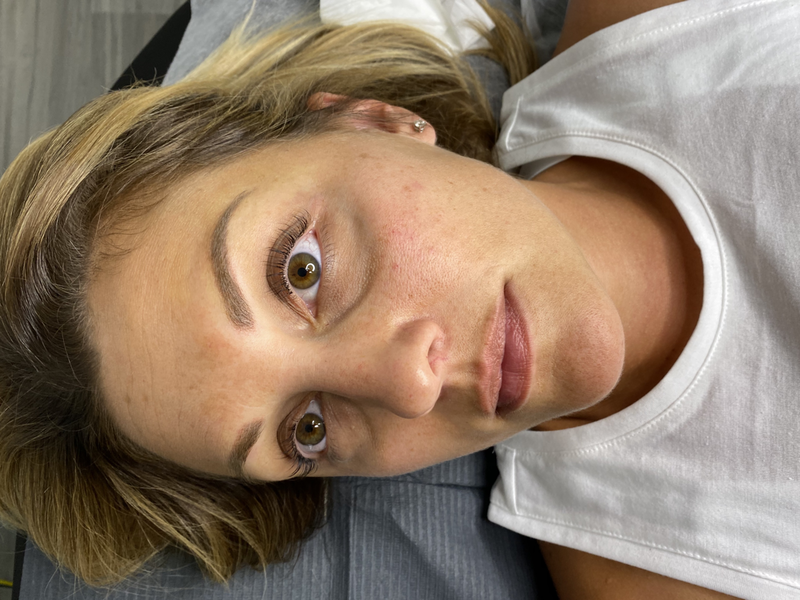 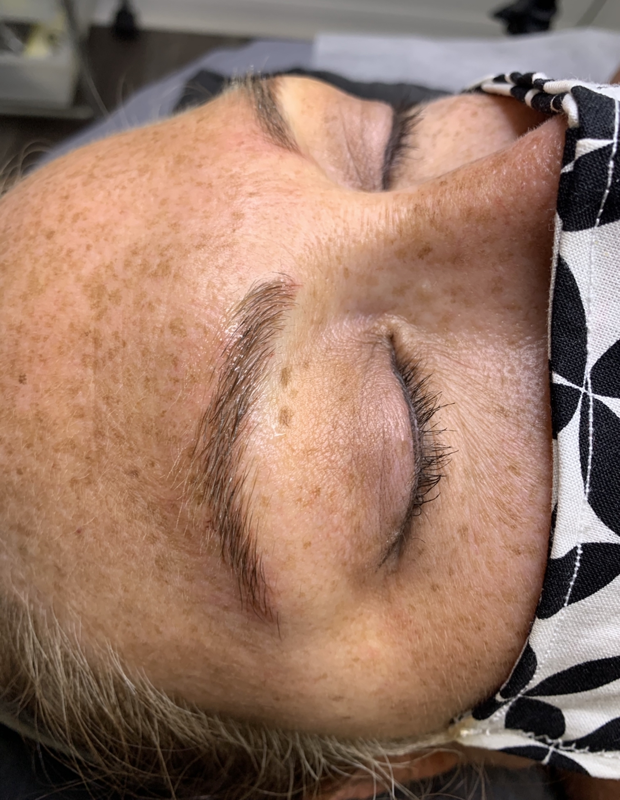 Lash extensions are available in classic (one lash to one lash), volume (multiple extensions per natural lash) or hybrid (a mix between classic and volume). 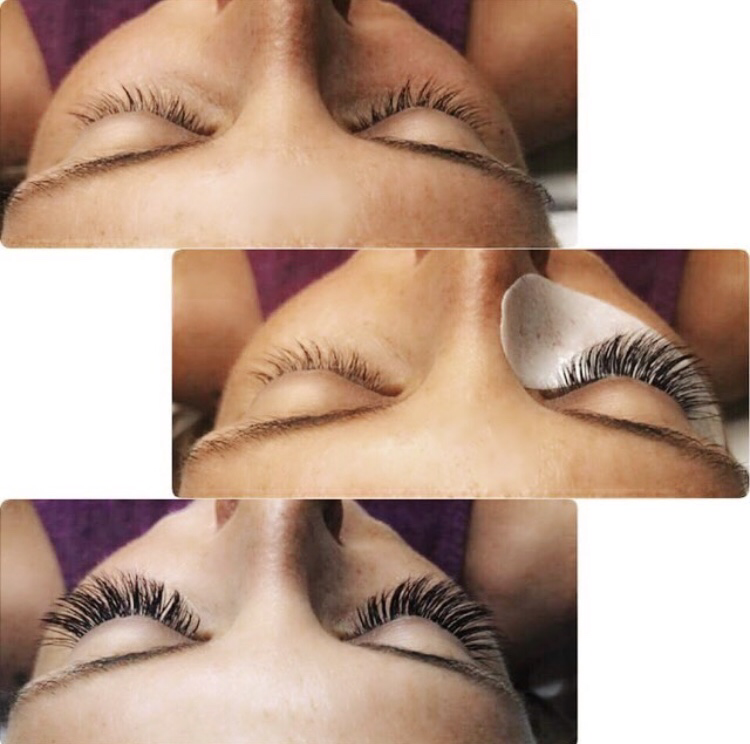 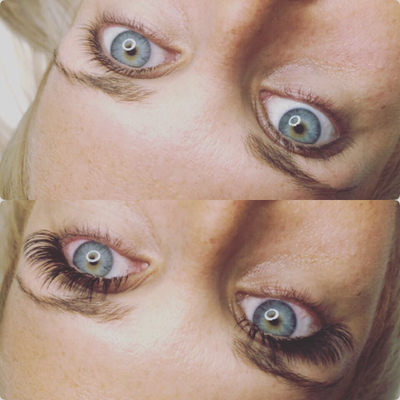 Lash extensions come in different lengths, thicknesses and curl types. 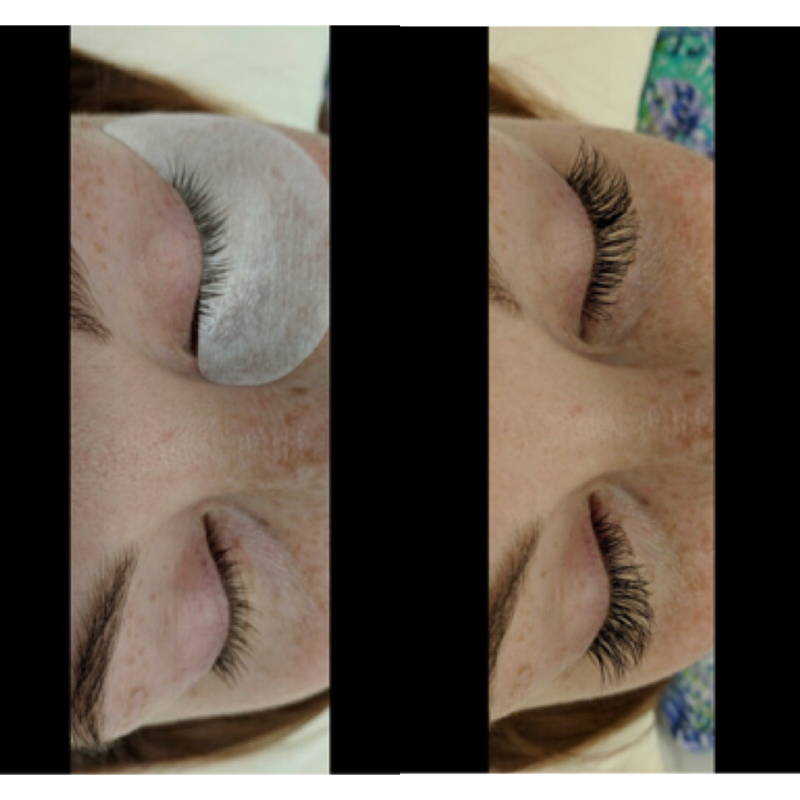 Depending on the desired look and the condition of the natural lash, the tech will pick the correct type to use on the client. Lash lifts are essential a perm and tint to the natural lash. 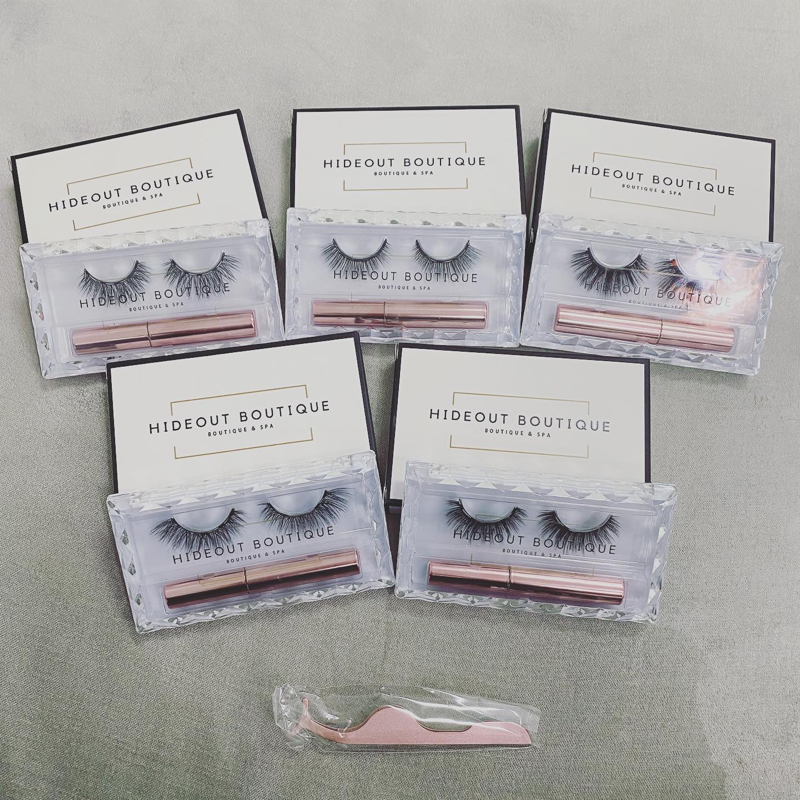 Works great for long natural lashes that point straight or are a lighter color. 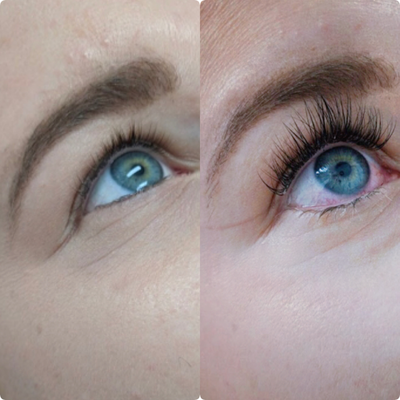 If the natural lashes aren’t too long naturally, a growth serum can be used for a few weeks for to get maximum results! Must have 50% of lashes left to qualify as a fill. Prices vary for fills with less lashes and it is at the discretion of the specialist. 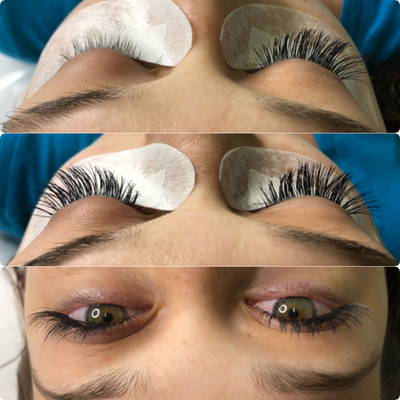 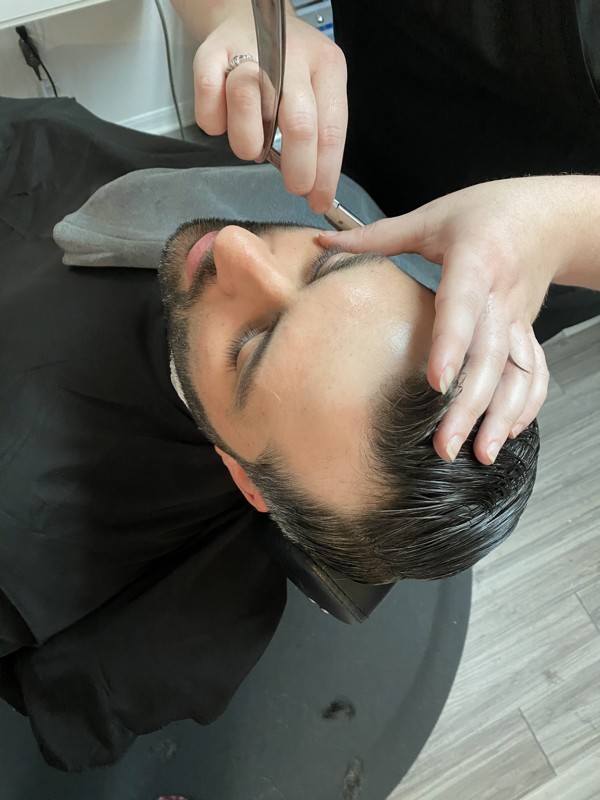 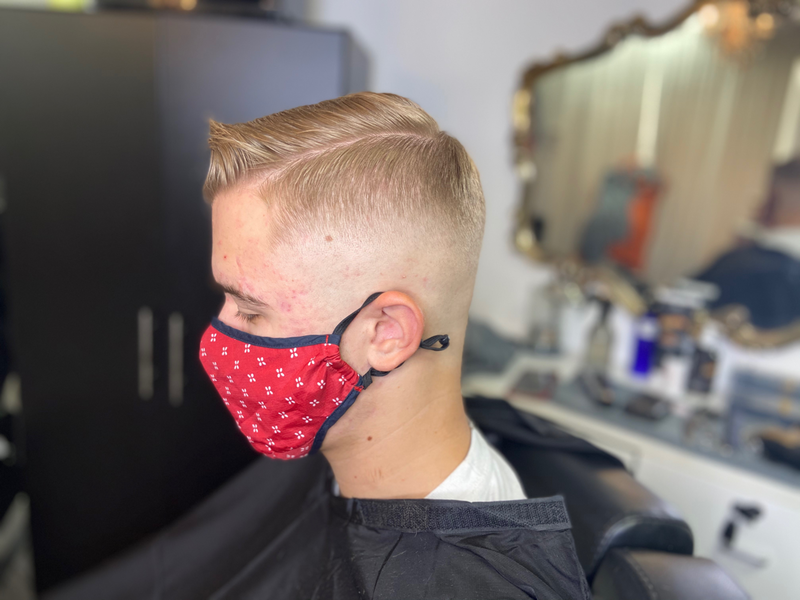 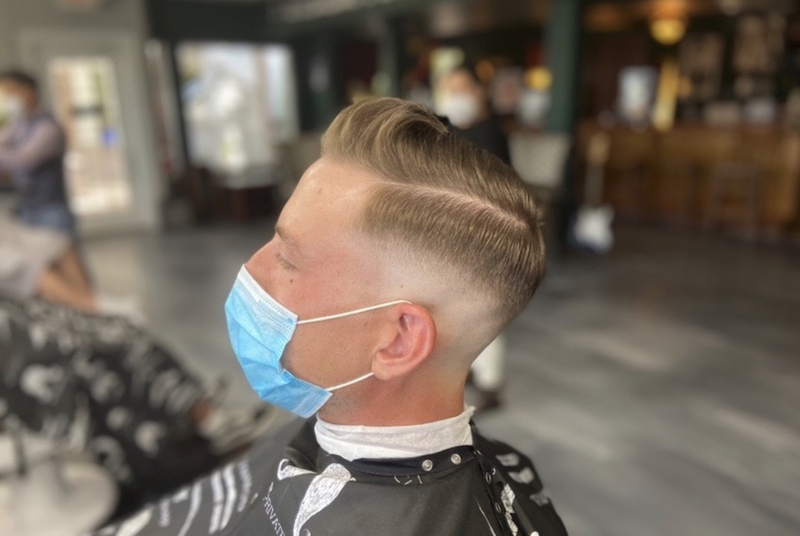 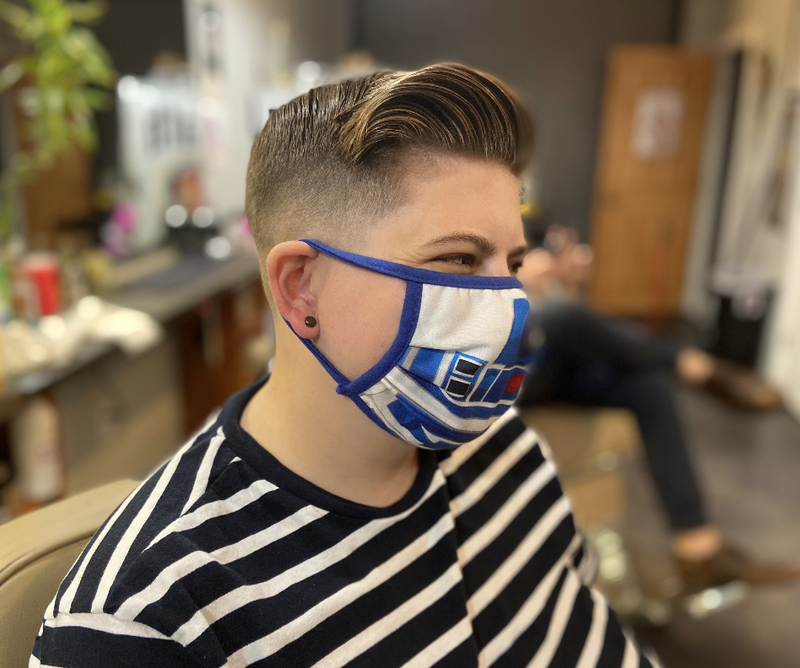 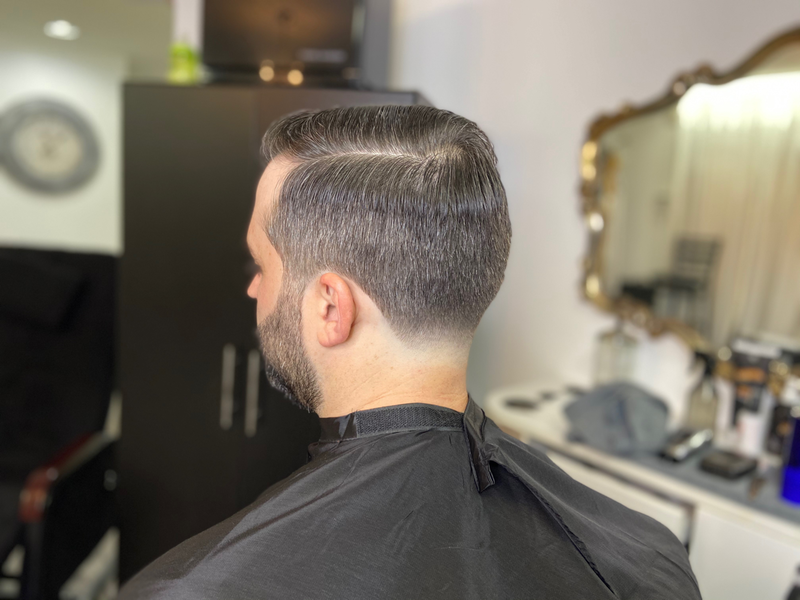 Pricing can be discussed prior to starting the appointment. 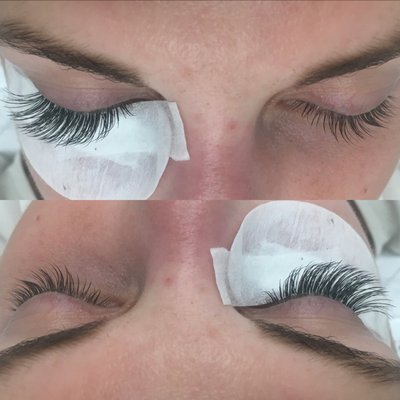 Top photo were lashes from another place but excessive glue was used and they were unable to be separated. 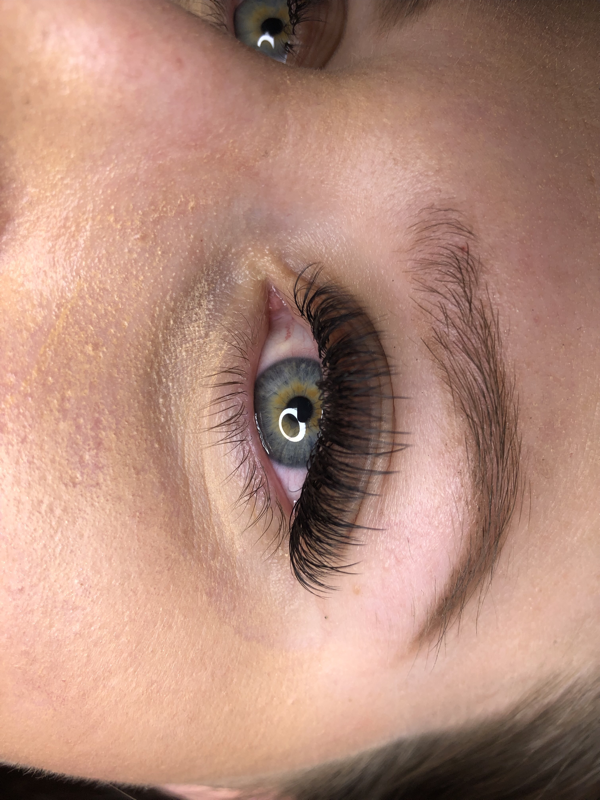 All the lashes were removed and a full new set was place! 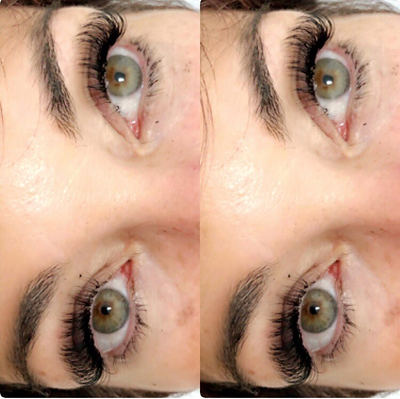 Top picture was Lashes place by another location. Too much glue and improper isolation was used to the whole set had to be removed and a new set was placed. 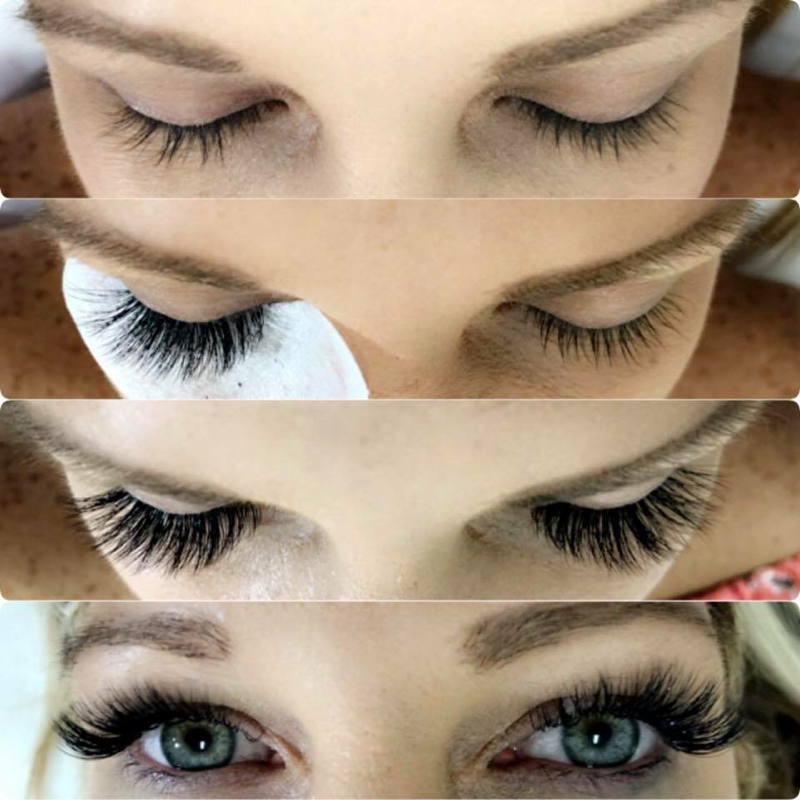 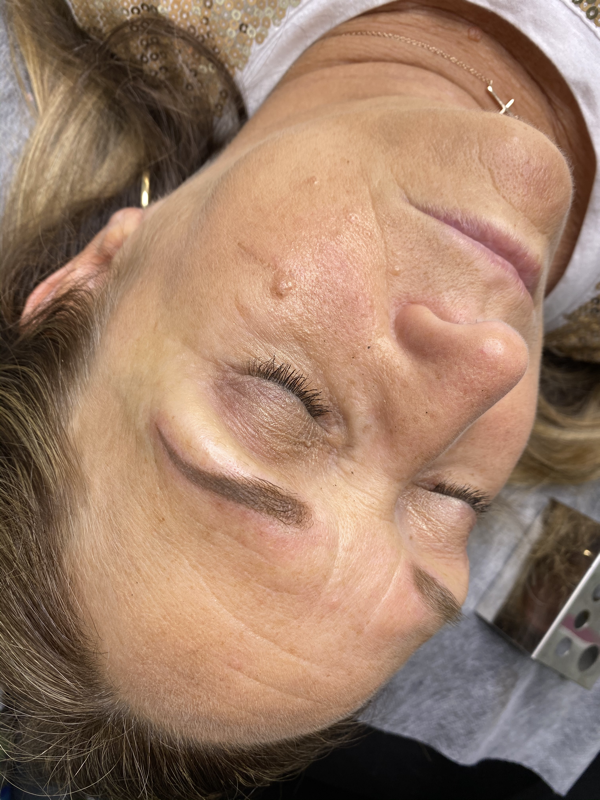 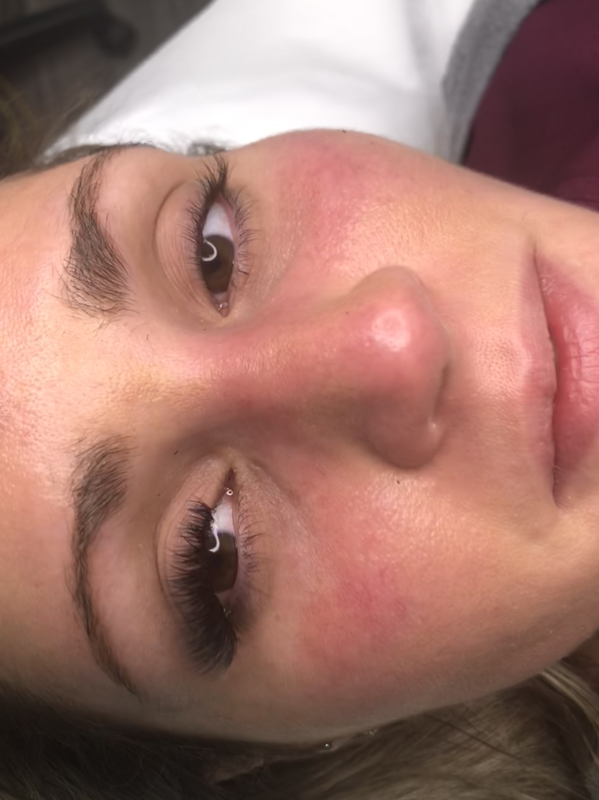 ​Must have 50% of lashes left to qualify as a fill. Prices vary for fills with less lashes and it is at the discretion of the specialist. 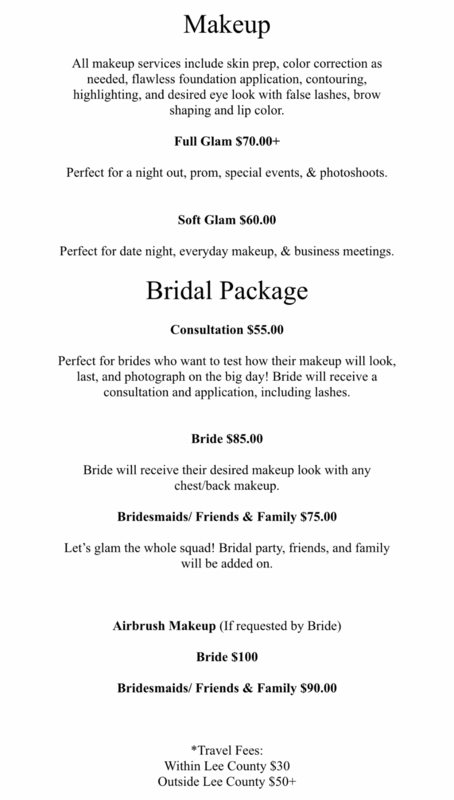 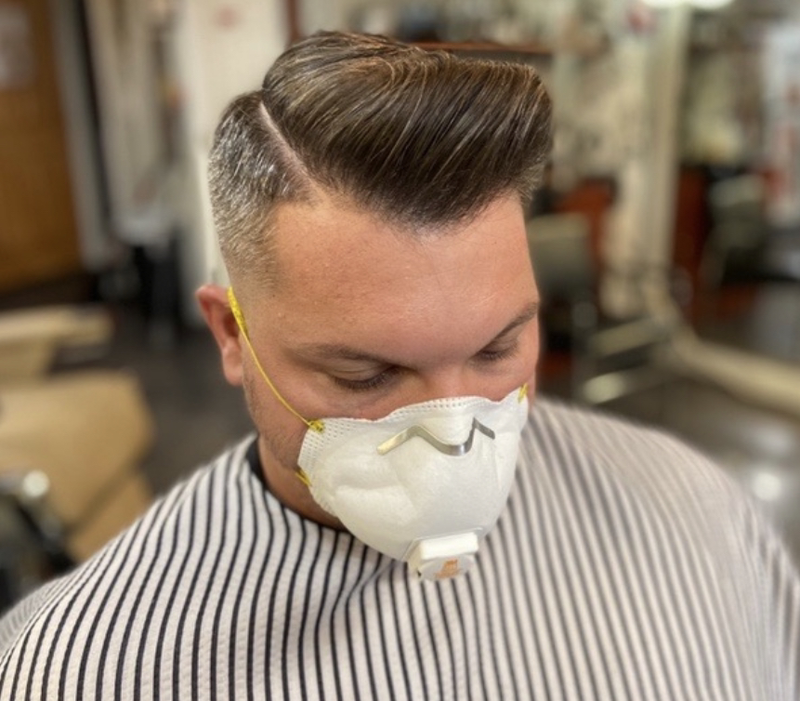 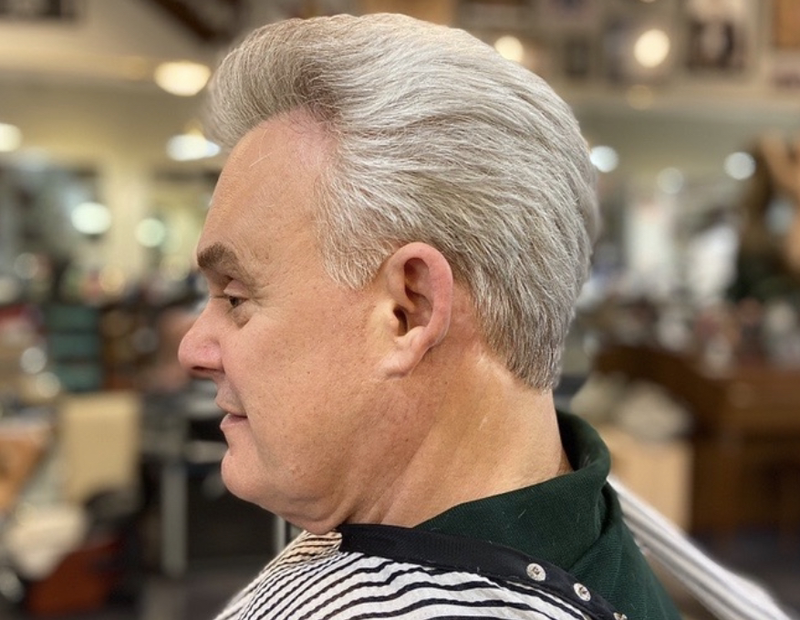 Pricing can be discussed prior to starting the appointment. 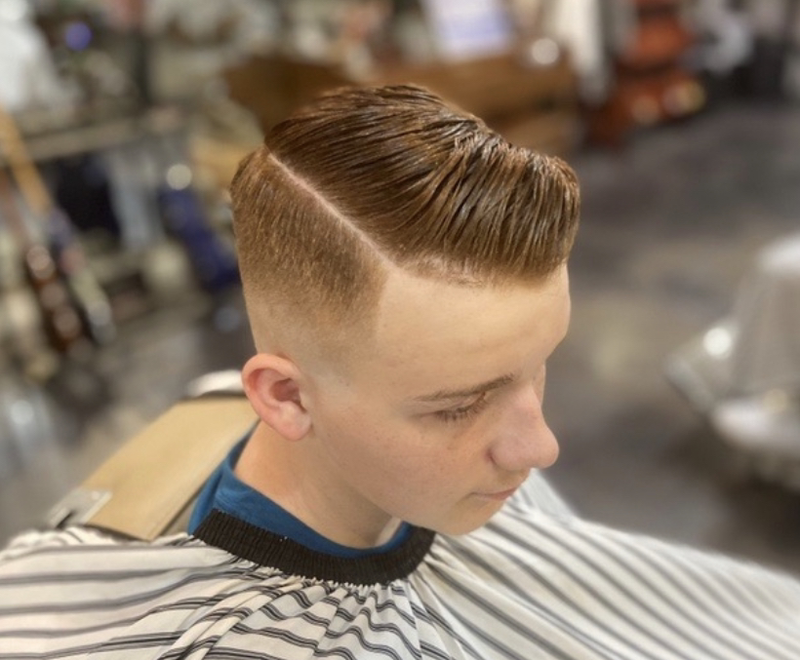 This is Volume to the next level! 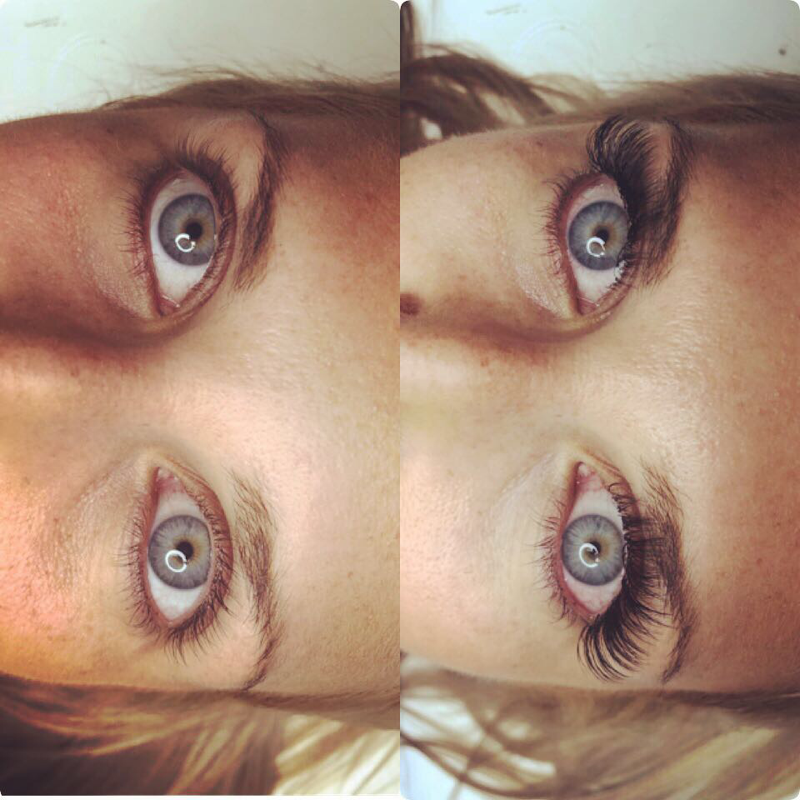 Get the strip lash look you love without the hassle of strips!